Historically, brick has always been an easily accessible and much revered building material all around the world. From historical, religious and political structures to the privacy of our own homes, brick has always been relevant and authentic. 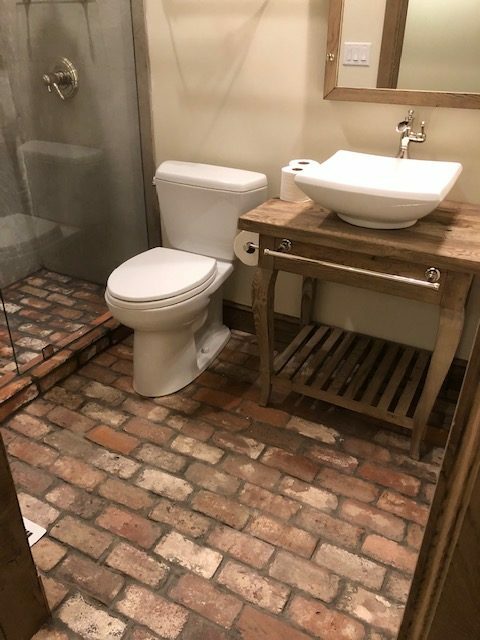 Although brick production reached its peak in the early 20th Century, what has followed is a trend we recognize today - the use of reclaimed brick to create authentic spaces. We scour the world to bring this recycled, beautiful material to numerous Commercial and Residential projects all across the country. As it's not easy to simply add old bricks to your home, we slice salvaged bricks into tile thickness that can be used as floor tile, or wall veneer. 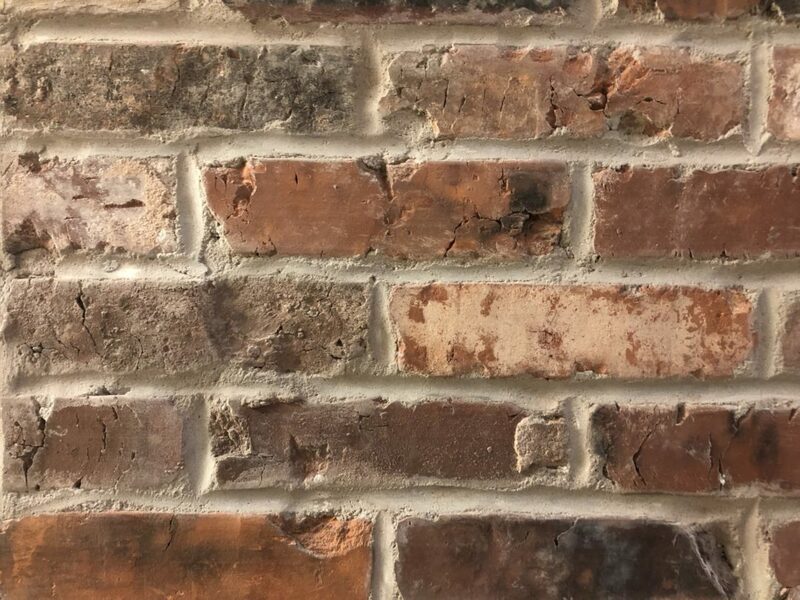 So whether doing a kitchen backsplash in your home, or adding some history to your restaurant with an accent wall, our reclaimed thin brick makes this easy. Thin Brick Veneer is a versatile interior design option for many varied spaces, mixing seamlessly with both old and new architecture. This material is produced by slicing 1/2" pieces off of either the face (wall veneer) or top (flooring tiles) of the reclaimed, full brick. We also have the capability of fabricating outside corner pieces and thin tile strips. 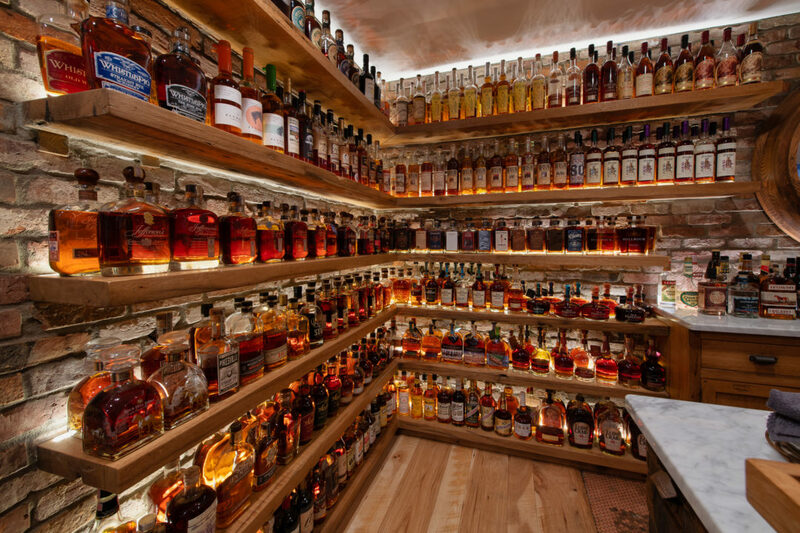 Stone Farm understands the importance of keeping up to date with recent design trends. 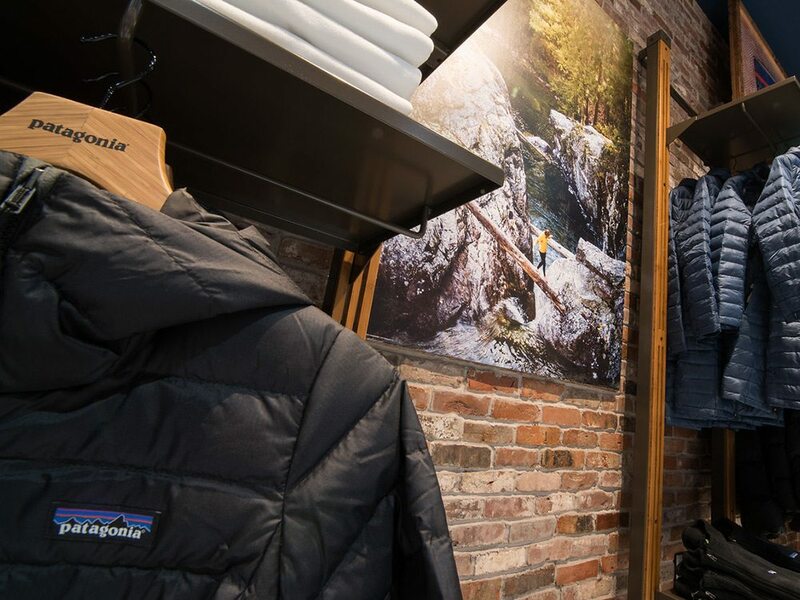 As we recognize these trends, particularly in color, we search for regions that will provide the look our customers desire. 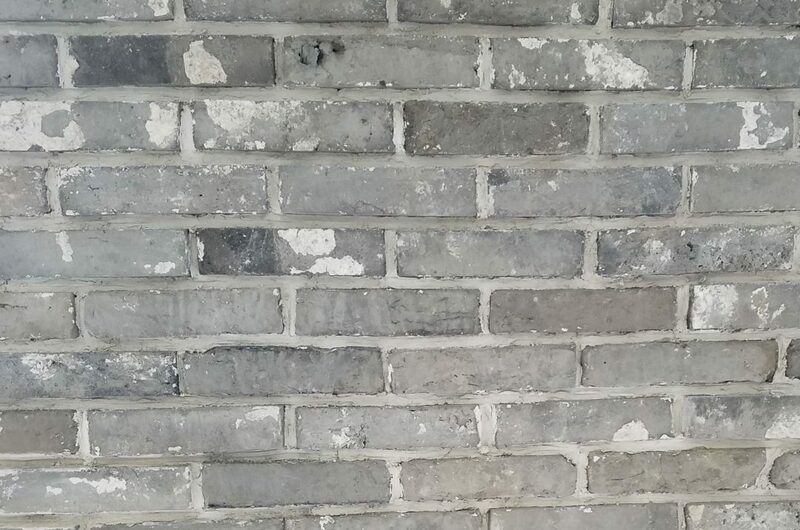 For example, a recent trend in the color gray led us to develop our Vicarage Grey, a thin brick formed from the gray clay found along the banks of the Yangtze River in the Southwest region of China. If you want a gray brick wall (as it simply might match your style better), we have this option. New England Mill Blend, Baltimore Blend, Vicarage Gray. 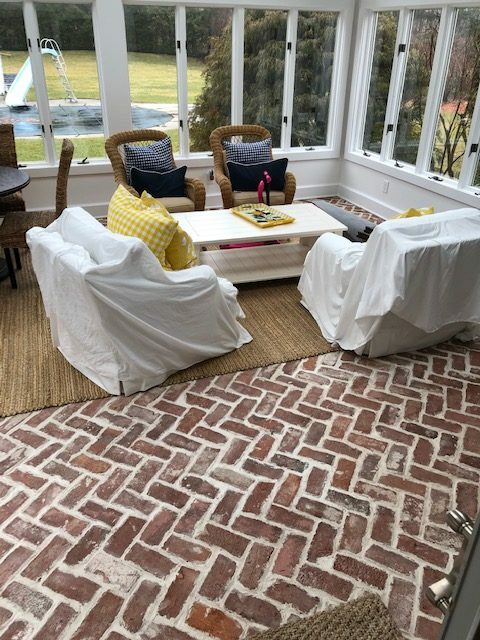 Our core product in this category is New England Mill Blend, consisting of bricks manufactured between 1890 and 1920 in the Northeast and reclaimed from old textile mills. 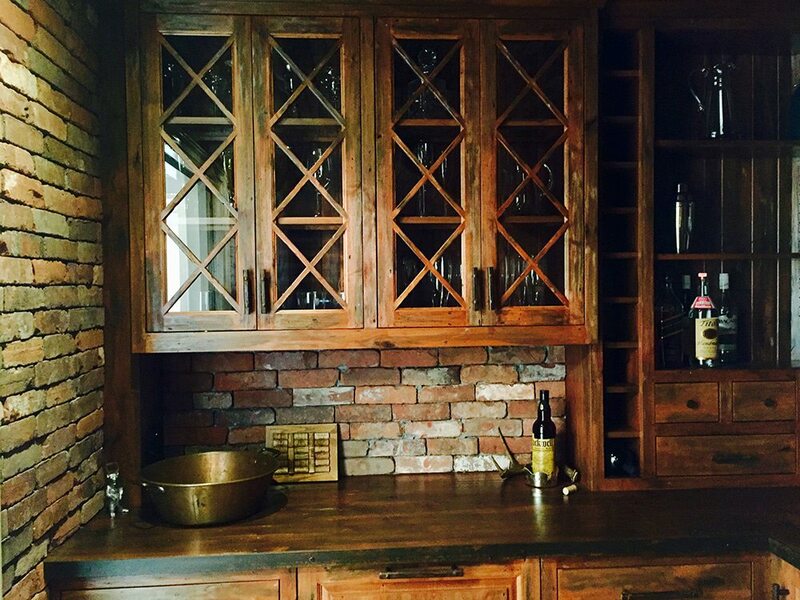 Salvaged from old factories, mills, and schools around New England, this blend is an ideal accent material. The color is predominantly deep reds found in the Northeast - however, we mix in white tones and blackened “soot stained” pieces as a result of fire damage and natural weathering. Our New England Mill blend is an incredibly unique offering. 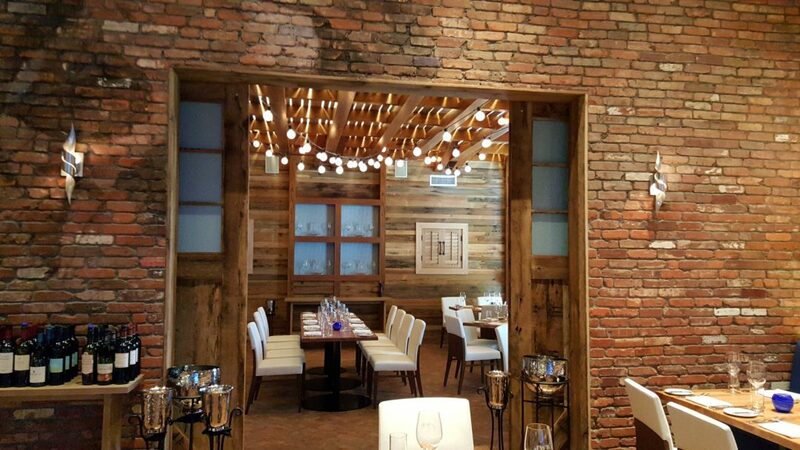 See how our thin brick veneer comes to life in recent projects - Interior Brick Projects. The city of Baltimore is currently using the deconstruction of its row houses as a means towards creating employment, reducing waste sent to landfills, and salvaging materials for reuse. 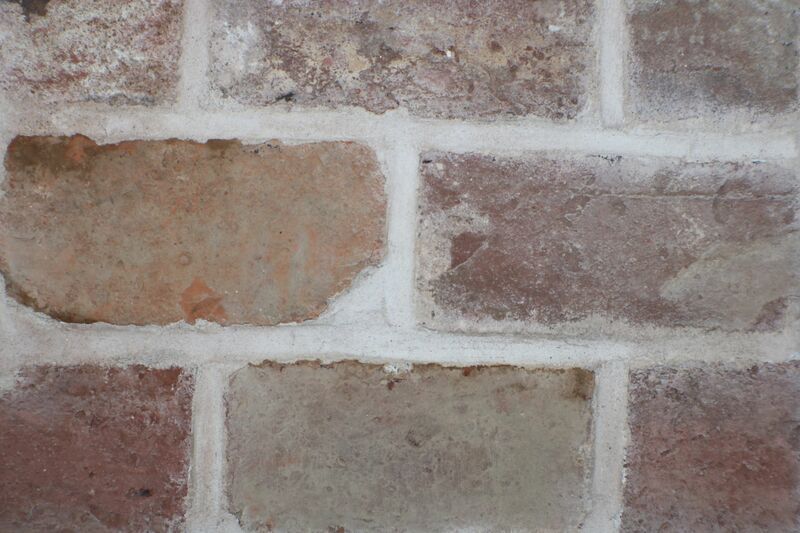 The reuse allows us to offer you this exciting blend of reclaimed thin brick! This blend of reclaimed brick is a vibrant flavor of a historic look. 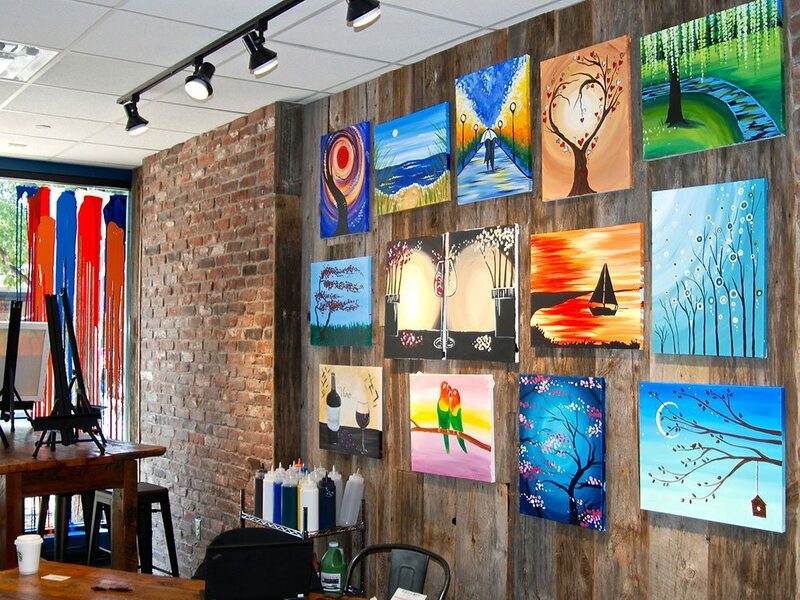 The color range includes a mix of reds, blacks, natural clay tones and soft yellows. 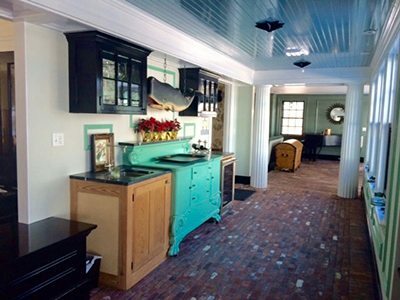 See how our thin brick veneer comes to life in recent projects - Interior Brick Projects. New England Mill Blend is our only color that our Floor Tile comes in, offering you a unique look to any floor. Our New England Mill Blend Floor tile is cut from the same bricks as our New England Mill Blend wall veneer. The difference is that we cut the top of the brick (rather than the face). As this is where the mortar lay, you can get more 'whites/grays'. The larger surface area is more consistent with traditional brick floors. Interior Brick Projects. 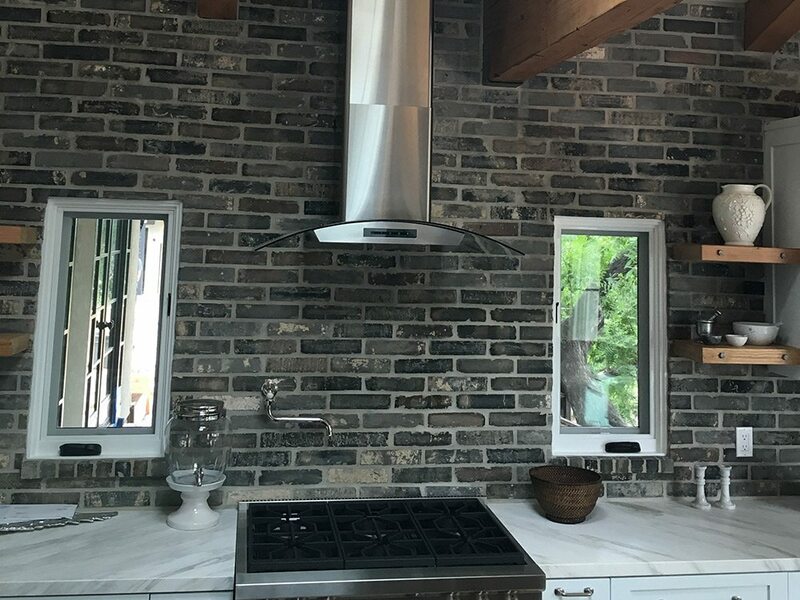 Seeing swatches of our thin brick veneer is one thing, but now it's time to see how this timeless material can come to life at your home or commercial space. 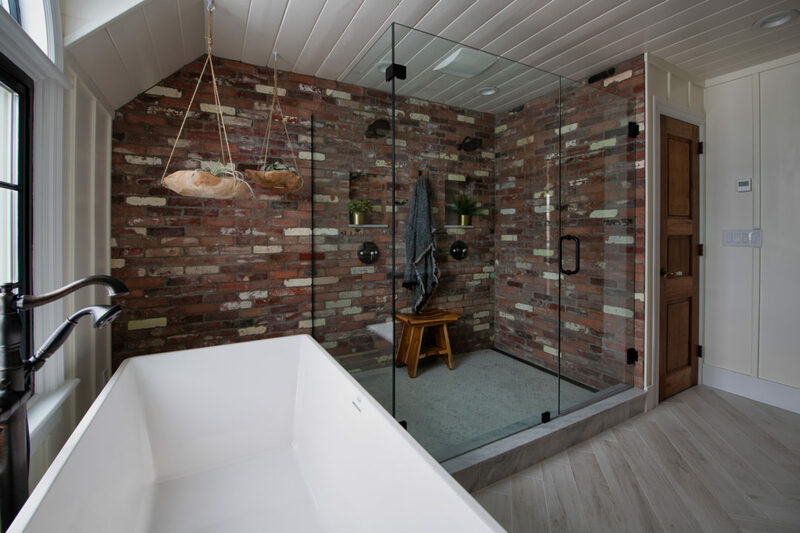 We have broken out some galleries that show you how customers have used our thin brick in their homes, or how architects have designed into restaurants or offices. 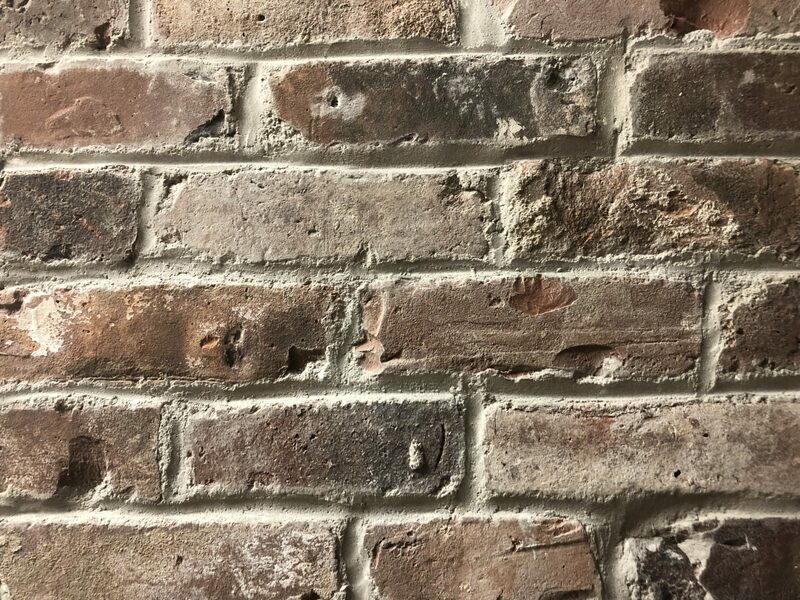 To see our reclaimed thin brick used in wine cellars, offices, kitchens, foyers, man caves and bedrooms go to our Project Area section. Whether it's a traditional brick wall you saw at a bar, or if you want to see what a gray brick wall looks like, we probably have a picture! The picture on the right was taken inside of a home in Las Vegas. 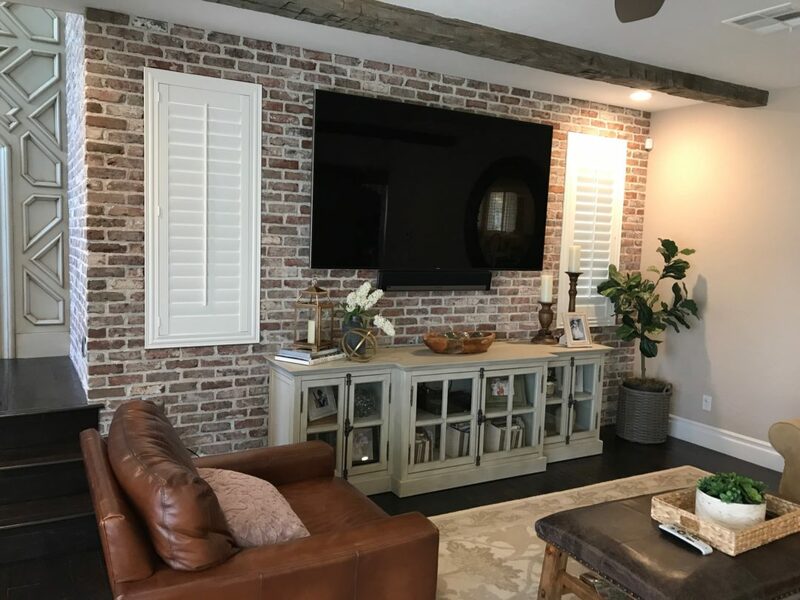 They decided to use our New England Mill blend reclaimed thin brick veneer for an accent wall in there living room. In order to obtain that white look the mason did a white wash scrape over the brick veneer.